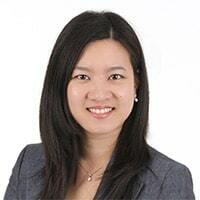 Dr. Rebecca Hu Is a board-certified audiologist and has been serving the South Bay since 2011. She received a Bachelor of Science in Biology from UCLA, then pursued a Doctor of Audiology from Northwestern University. it comes to treating hearing loss. Dr. Hu is proud to offer individualized treatment plans for all patients based on their hearing needs and lifestyle. It is her goal to help patients and families make well-informed decisions about their hearing health. Dr. Hu was voted “Favorite Audiologist” by Daily Breeze Reader’s Poll in 2014 and 2016 for her remarkable patient care. She is also fluent in Mandarin Chinese. Copyright © 2019 Torrance Audiology. All Rights Reserved.